“Education is the Manifestation of the perfection already in man” - Swami Vivekananda. With this inspiration, in 1966 under the headship Prof.Banabehari Maity , the then principal of Prabhat Kumar College, Contai started the Teachers Training Section under the affiliation of University of Calcutta with a student intake of 100 only. The nearby schools participated in the teacher’s training section with their full heart. At that time the course was named as B.T. (Bachelors’ Training) . 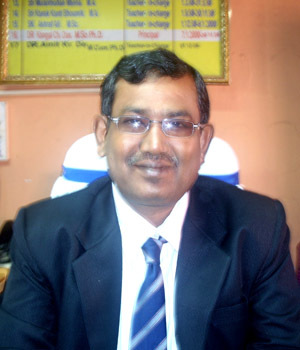 Since inception of the college started with Arts section with the headship of Prof.Arabinda Patra . Prof. Amalendu Majumdar , Prof. Amitangshu Das, Dr.Mohini Mohan Maity joined the teachers’ training section as full time teachers. Few years latter, science faculty of B.T department was started by the then Physics teacher Prof.Santanu Sahu and the course was named as B.Ed. (Bachelor of Education). Since many more reputed teachers like Prof.Arabinda Patra, Prof.Harendranath Jana, Dr.Pijush Das, Prof.Biswajit Mondal and Prof.Prasun Nayak served this teacher training education department of the college. After 1989 the B.Ed college was renovated by Vidyasagar University with the extension of student intake in two sections of about 250( Two hundred fifty only). Many part time teachers like Prof. Madan Mohan Das, Prof.Ajit Agasti etc. glorified the department. Non teaching administrative staffs like Shri.Girija Maity, Shri.Sukumar Mangal , Shri.Radhashyam Mishra , Shri. Tarashankar Panda and Shri.Subhodh Maity has contributed lot for this department. Presently a total of 11 full time teachers and 5 among them are contractual full timers has been appointed by the present Governing Body of the college for smooth conduct of the NCTE affiliated course of 100 students intake..